There is a variety of schools to choose from in the local area including, Corby Business Academy, Rockingham Primary School, Corby Old Village Primary School, Gretton Primary School and Studfall Junior School. Just opened within the area of Priors Hall Park is Priors Hall A Learning which offers education for years 1 & 2. There is a bus stop on Gretton road heading in both directions to allow you to get out of the area and explore the towns close by. Corby train station is just a 9 minute drive away, where you can arrive in London St. Pancras in around an hour. The A43 is on your doorstep giving you easy access to Stamford and the A47 to Peterborough, taking around 30 minutes. In the opposite direction, the A43 can take you to Kettering in 20 minutes and Northampton in 40 minutes. 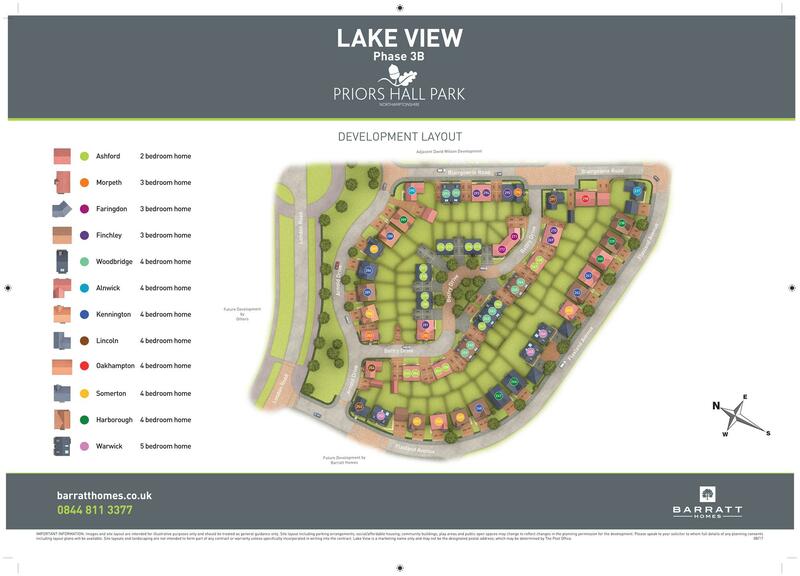 Lake View can be found at Priors Hall Park in Corby. You can find this development by travelling along the A43 onto the A6116 where you will find Birchington Road then onto Gretton Road. Follow this road until you reach Lake View. 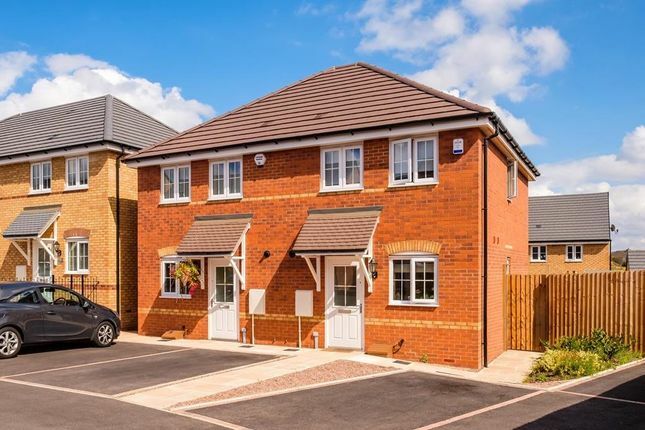 Property descriptions and related information displayed on this page, with the exclusion of Running Costs data, are marketing materials provided by Barratt Homes - Lake View, and do not constitute property particulars. 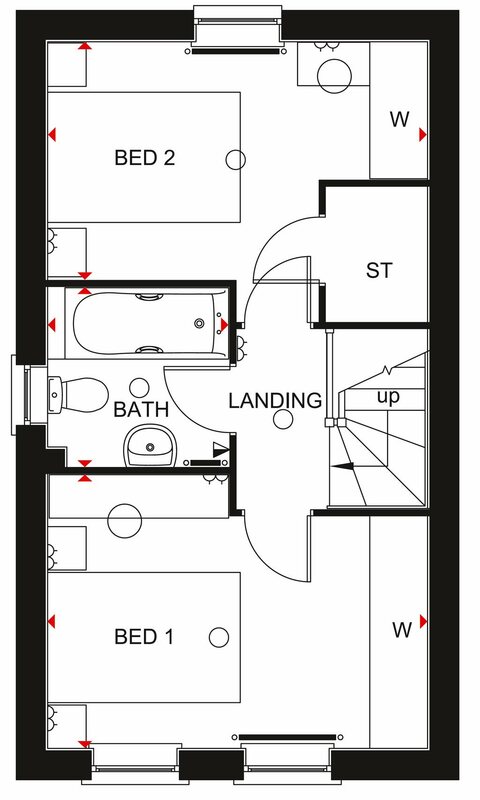 Please contact Barratt Homes - Lake View for full details and further information. The Running Costs data displayed on this page are provided by SmartNewHomes to give an indication of potential running costs based on various data sources. 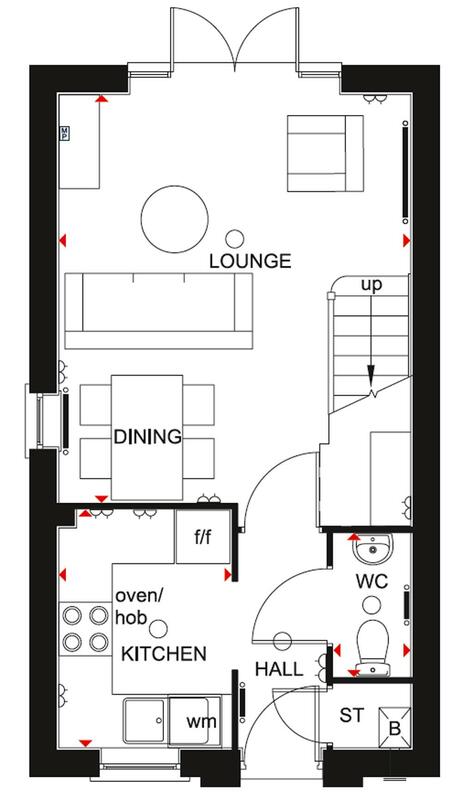 SmartNewHomes does not warrant or accept any responsibility for the accuracy or completeness of the property descriptions, related information or Running Costs data provided here.